At some places in our gardens it just seems to be impossible to have a nice, clean and green looking natural lawn. 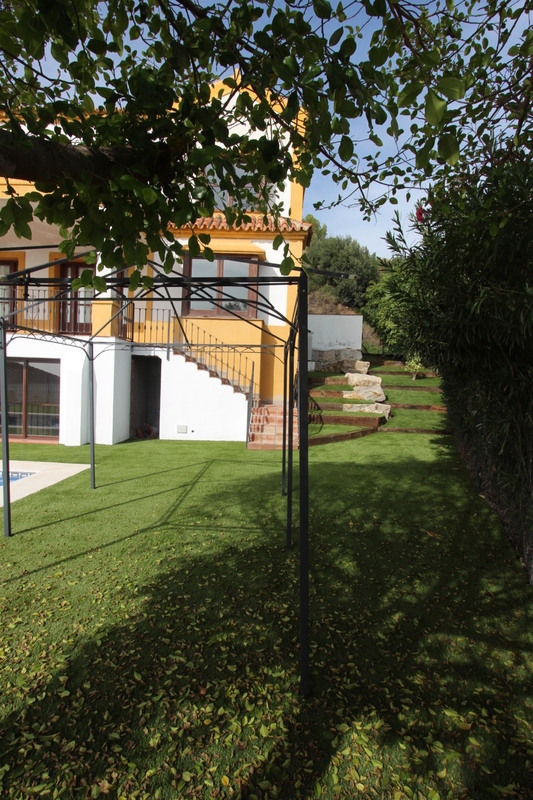 This can be due to too much shadow, to much water, bad draining properties of the soil, beeing too close to the see… The owners of this luxury appartments located at the beach of Estepona, had choosen since many years to cover this “impossible places” with artificial lawn. Only a few days ago we just finished with the installation of another bit of area with our artificial lawn BALANCE.